If you need your windows tinted, car stereo or seat cloth replaced, a roof headliner replacement, or leather seats repaired, you've come to the right place. 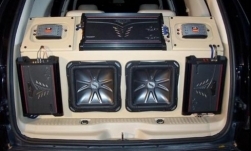 We have put together an affordable selection of full JL Audio sub/amp combos. These combos give maximum bang for the buck, without compromising quality. MCOR Automotive LLC window tinting products offer the cleanest, most perfect window tint job to block glare, heat and UV to help protect the interior of your vehicle. Do you need a simple stereo replacement? Or do you just want to get your iPod to play through your factory stereo? No matter what it is, we can handle it. Upholstery is yet another division of MCOR that will leave you stunned. From simple headliners to full-out interior restorations, we can handle it. 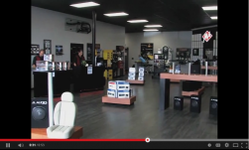 MCOR Automotive is also here to handle all of your automotive accessory needs. Our paint protection film is a nearly undetectable, protective urethane film and is designed to resist impact from the everyday damaging road hazards. Like answer D. in a multiple choice question, MCOR Automotive is your All the Above solution to your automotive-restyling needs! 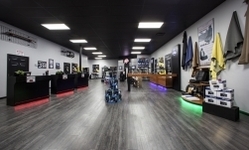 This page is dedicated to our new shop that we designed and built on the Southwest corner of SR 54 and HWY 41 (entrance off of eastbound SR 54). 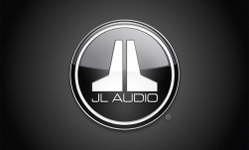 We are a JL Audio Signature Dealer. To subscribe to our newsletter click the "LEARN MORE" button below. MCOR Automotive LLC is here to handle all of your Automotive and Marine Restyling Needs. Find out what options are available to you by calling us or filling out our contact form! We handle most leads same day-most of the time-same hour! 2004-2019 MCOR Automotive LLC All rights reserved.